The Pacific Coast Highway (PCH) is one amazing road. Stretching from southern California to the middle of Oregon, there are countless beautiful, breathtaking, and unforgettable things to do and see when traveling along all 655 miles. And here on the Central Coast, we’re right on the middle of the PCH, located in-between the two biggest metropolises in California: San Francisco and Los Angeles. We’ve already talked about some great stops on the road from San Francisco here to the Central Coast, and here we’re highlighting some of the best stops in Southern California. Read for information on these beautiful stops, and hopefully you’ll be inspired for your next epic PCH road trip! Nestled out of the way of the maze of congestion that is Los Angeles, Point Dume in Malibu is a welcome oasis. It’s a great first stop while making your way out of Orange County en route to the Central Coast. You’ll walk down a staircase built into the cliffs to see the beautiful, peaceful, and calm beach. There’s limited parking, which means less people, and more space for private reflection and enjoyment of this natural space. 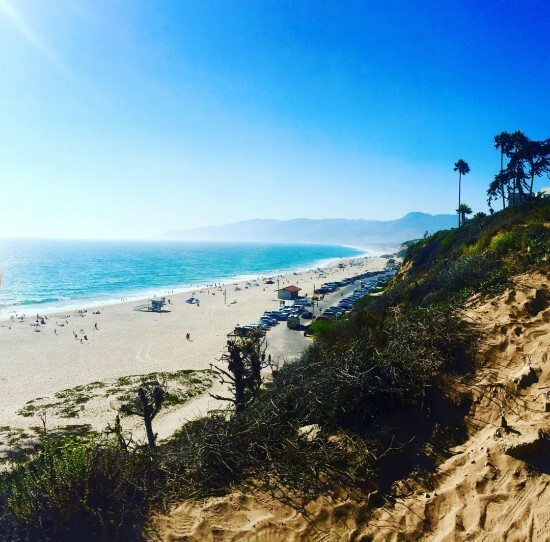 Many people call Point Dume the most beautiful beach in Los Angeles, and we might have to agree. It’s relatively untouched and a great place to get back in touch with nature. Carpinteria is a cute little beach town, with cute harbor seals to boot. You’ll get the whole feel for the small city, a town so entirely coastal that nearly everything you can do there has a great ocean view. 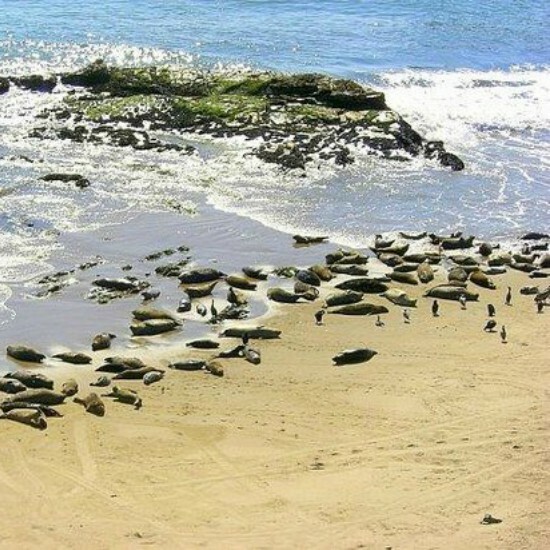 Park on Linden Avenue for a easy and short beach walk towards the Harbor Seal Rookery. You’ll follow alongside the ocean, and eventually follow the coastal train tracks, for just about a mile. It always feels great to get out of the car to stretch your legs, and the view in Carpinteria makes it even better. The Harbor Seal Rookery is home to almost 100 adult harbor seals who give birth to their pups here in southern California, and the rookery is one of only four similar rookeries in California. Just like the Elephant Seal Rookery on the Central Coast, it’s truly amazing to get to witness wild creatures in their natural habitat, undisturbed. This stop is coupled with stopping in downtown Santa Barbara, which is a quaint, gorgeously Californian, and beautifully maintained shopping area. 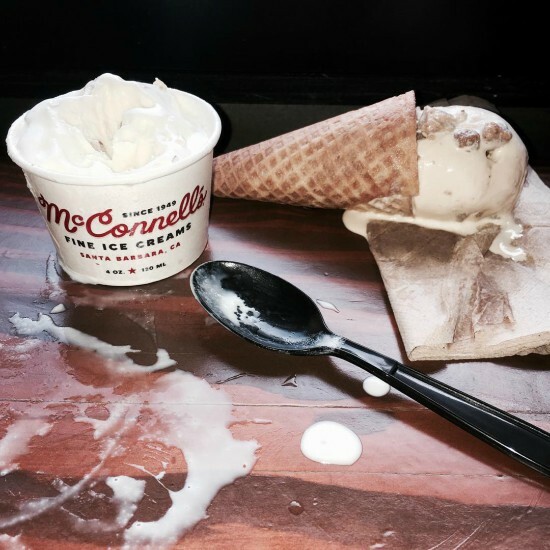 McConnells Ice Cream is laid-back Santa Barbara’s favorite dessert, with locals swearing by it and pints offered in local grocery stores. Stop by their downtown shop and grab a cone, and explore downtown Santa Barbara while you’re at it. If you want to get a nice walk in, you can also follow State Street all the way down to the harbor and enjoy view of palm-lined streets and the bright blue ocean. There’s a lot to do in this area of Santa Barbara, and it’s a great stop along the way to relax before getting back on the road to the Central Coast. Kick back and relax after driving nearly four hours with a nice glass of wine in Santa Ynez Wine Country. 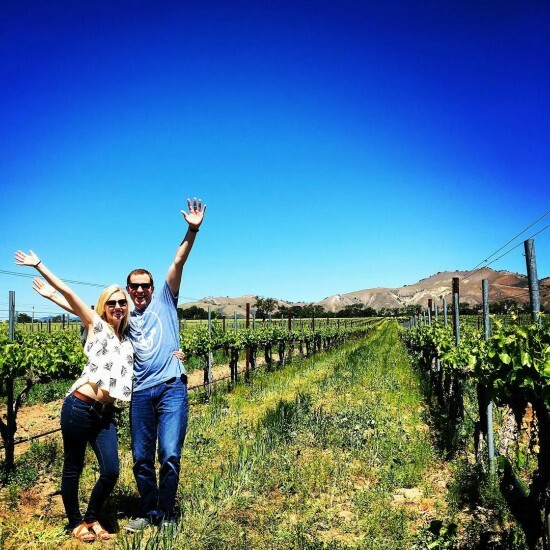 This region is usually part of the larger Santa Barbara wine country, but it is halfway between Santa Barbara and Paso Robles, making it the perfect stop along the way. The Santa Ynez Valley has become more popular and well known in the past ten years, partly due to the popular wine-related movie Sideways that used Santa Ynez as its setting. Try a crisp, sweet, and fruity Sauvignon Blanc at The Brander Vineyard, or savor a more heady red blend – Blend 175 – at Bridlewood Estate Winery. Either way, you won’t regret a quick stop in this beautiful region that produces some amazing California wine.